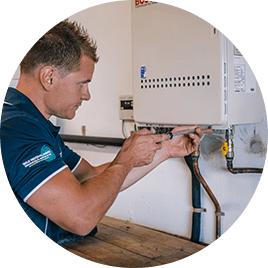 Plumber Northern Beaches from Manly, Roseville, Mosman to St Ives. Welcome, you’ve reached Wild Water Plumbing, your local plumber Northern Beaches and North Shore! 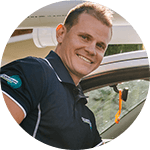 I’m Lucas, and with my team (Lucy – 4 legs, and Ben – 2 legs) we service plumbing needs from Palm Beach to Neutral Bay. If you’re on the Northern Beaches or the North Shore of Sydney, we’re here to help. Need a plumbing specialist? We focus on the problem at hand and arrive fully equipped to limit the time we need to spend on the job. Everyone is in a hurry these days (especially with Sydney traffic) and no one wants to be inconvenienced by the problem in the first place – let alone left waiting for a plumber! With over 11 years experience, we’ve likely crossed a problem like yours before. This makes us able to come prepared for a range of issues and able to provide solutions on the spot designed to suit your budget and fix the problem. A few years ago Lucas had done several jobs in my house prior to Wild Water Plumbing. I lost contact when he moved on from where he was previously working. When I couldn’t find Lucas, I hired other plumbers who did not impress me – The last one came 2 my house to investigate water hammering in my kitchen, laundry and toilet. He tried to tell me had 2 call another plumber to investigate the noises and then tried to charge me a call out fee for doing absolutely nothing! I was not impressed. By chance I came across Lucas again 4yrs later at Wild Water Plumbing. I called him to install taps etc under the sink and install a dishwasher. As expected, he arrived when he said he would. Covered his shoes before entering the house. Placed a work mat down to keep the kitchen and carpeted hall way clean. He was polite, professional, honest – discussing what needed to be done, and offered different options I had available 2 me, and showed me the pricing for the job in a folder prior to starting -so there were no surprises. Not only did he install the dish washer, he fixed the hammering ! I’m a happy lady! He also cleaned up after himself before he left. Each time Lucas has done work in my house (I was renovating) he had been very professional, honest and friendly. I am so happy I have found Lucas at Wild Water Plumbing. If I need a plumber again in the future, I know who I’ll be calling. It is rare to find a tradie who is honest, reliable and has fair pricing for quality parts/work. 5 Stars! Lucas answered an emergency call to sort out our hot water system which fell off the wall and broke all the connections. He repaired it so that we had water but more importantly had a more suitable replacement system fitted early the next day and did not charge an arm and leg for his time or expertise! Will definitely use him again. Took time to explain the job, the costs involved and why. Was more than accommodating in answering all my questions. 10/10 tradie in my book and I’ll be tee’ing up Lucas for our reno work when we do it. Lucas Neal from Wild Water Plumbing is a very pleasant and efficient plumber. Can’t speak highly enough about him. He’s punctual and clean and very warm and friendly. Lucas was highly recommended by my neighbour and I can see why – he was extremely professional, knowledgeable, reliable, friendly and hardworking. Not only did he change his schedule in order to fit the job in, but he completed what was a difficult job in great time, left everything clean and working perfectly, and even came back the next day to fix another issue. He saved me a great deal of time and money and was so easy to communicate with. I am really impressed and would not hesitate to recommend Lucas anytime. Fantastic fast and reliable service.. Highly recommended!! Last week we had a huge leak in our bathroom – I contacted Wild Water Plumbing and Lucas arrived within half an hour. I was impressed with his efficiency and the speed that he fixed the leak. Lucas had a genuine care for our property and I would highly recommend his services!! In comparison with other plumbers that I’ve previously used, Wild Water Plumbing is very affordable and cost effective. Thanks again Lucas! I have just had the boys from Wild Water Plumbing out to my home for a full bathroom renovation and it has been a great experience. They were polite, tidy and always kept me well informed. I would highly recommend them and happily have them back! Positioned on the Northern Beaches, your plumber Northern Beaches services the wider North Shore and Northern Beaches areas of Sydney with ease. We are happy to help in a hurry and will be upfront about availability so we don’t keep you waiting. Your time is important to us so we want to ensure we don’t waste it. Calling a local plumbing specialist means you’ll get the quality expected of an affordable local plumber. We run a tight ship and work clean. At all times we wear shoe covers, use drop sheets and keep the environment free of clutter. The site will be left cleaner than it was found – no one wants to clean up after a trades person. You can put away that sponge and rest easy knowing you aren’t going to need a cleaner after a visit from your local plumber. We use the latest technology available to solve your plumbing woes. This allows us to work faster, cleaner and can save you time and money on labour. Our CCTV camera’s are able to work quickly to diagnose blockages, cracked and damaged pipes, tree roots and limited drainage situations. Knowing what and where the problem is upfront means the job is undertaken and resolved quicklyby your Sydney plumber. We offer upfront pricing from quality trained, licensed plumbers (and fluffy sidekicks) that won’t drain your pockets. Being locals ourselves, we enjoy meeting our neighbours and discussing your needs as homeowners to resolve any plumbing issues quickly and cost effectively. We treat your home like our own and limit the impact of the work we need to carry out. Sign up to stay in touch with Wild Water Plumbing and get $50 OFF your first service with us. No one wants to have a plumbing problem, least of all a plumbing emergency, which is why we attend to our customers in a friendly and reliable manner. No one needs the stress of plumbing woes on top of a bad attitude tradesperson showing up! We are an upbeat team who’ll minimise your stress with affordable solutions, provided with a smile. Let your problems be solved today and give us a call. For all your local plumbing solutions, provided with a smile and affordable upfront quotations, you can’t go passed our team for unforgettable service!